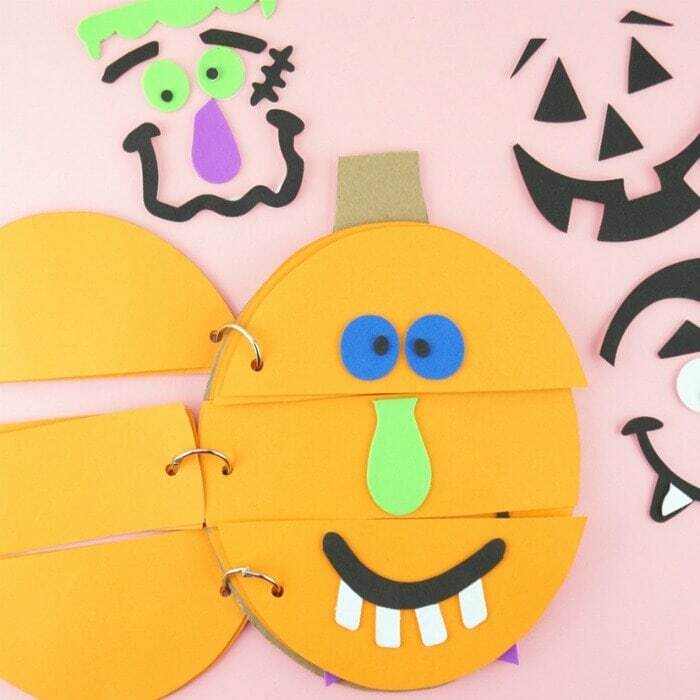 We created this silly pumpkin faces flip book as a sponsored post for Oriental Trading. The full details and instructions for the project can be found on their idea’s website at Fun365.com. When I was a child I loved those flip books where you could mix different faces with different bodies and costumes to make silly characters. Did you have one of those? Someone recently pointed out to me that those books were derived from a form of drawing called exquisite corpse. 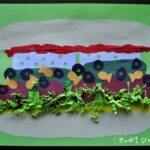 I guess surrealist artists used this technique to create bizarre drawings. 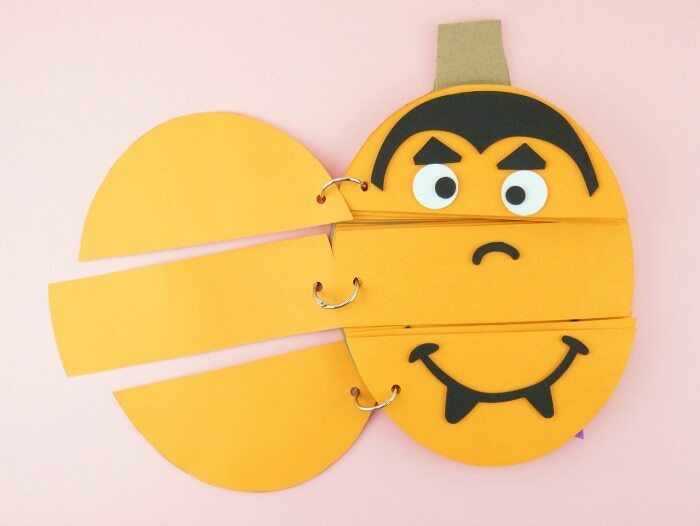 At any rate, I am enthralled by the technique and used it to create this awesome silly pumpkin faces flip book for Halloween. 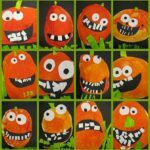 There is so much to love about this silly Halloween activity. First, it is sure to amount to hours of giggly good time between you and your children. I can attest to this first hand since my daughter and I have spent quite a bit of time laughing together and deciding on our most favorite silly pumpkin face combinations. 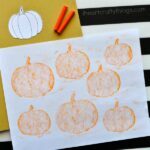 Second, the project is super simple to create with the help of our pumpkin template and all of the pre-designed pumpkin faces from Oriental Trading. Each of the faces come individually packaged and are quality foam stickers. If you make this at home you’ll probably have leftovers but then you can use them for decorating real pumpkins so win-win! The flip book is divided into three different sections. The top section houses the eyes and any hair features of the pumpkin. The middle section houses the noses and the bottom section houses all of the goofy grins. Inside the pumpkin faces kits you’ll find some silly jack-o-lantern faces, a vampire, Frankenstein and even a spooky kitty cat. You can see how combining several of these different features together will create some laugh out loud silly face combinations. 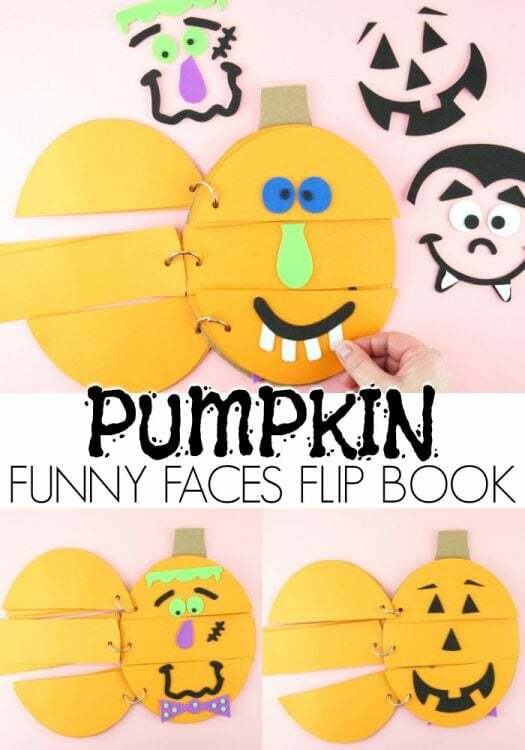 See a video of the silly pumpkin faces flip book in action on Oriental Trading’s Facebook page or stop by their website for all of the details, the template and instructions. Here is a simple and clever way to make some cute Halloween ghost puppets. 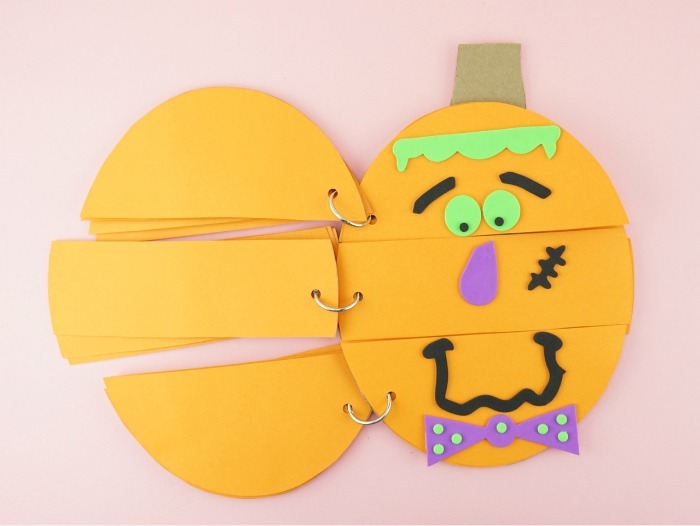 Use them to put on a spooky puppet show for your family and friends. This yarn wrapped mummy craft is not only awesome but it’s also a great way for little ones to work on strengthening fine motor muscles. Kids will love moving their witch around on their spooky painted paper plate, watching their witch fly around on Halloween night. 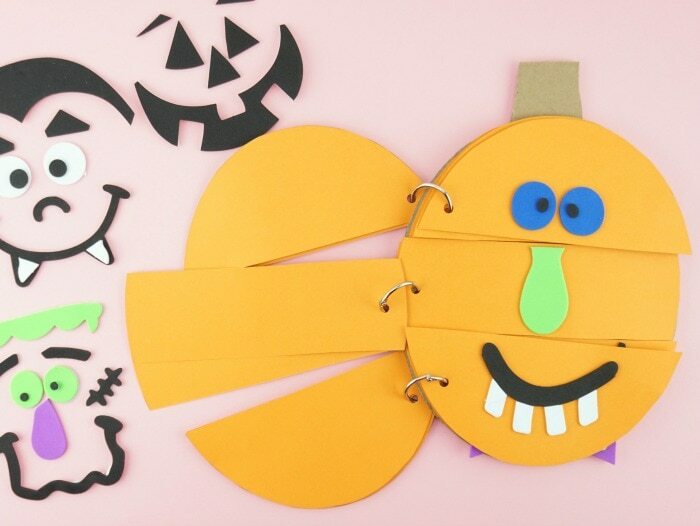 A perfect interactive craft for Halloween.